Why Choose Sliding & Stacking Doors from Alternative Doors? 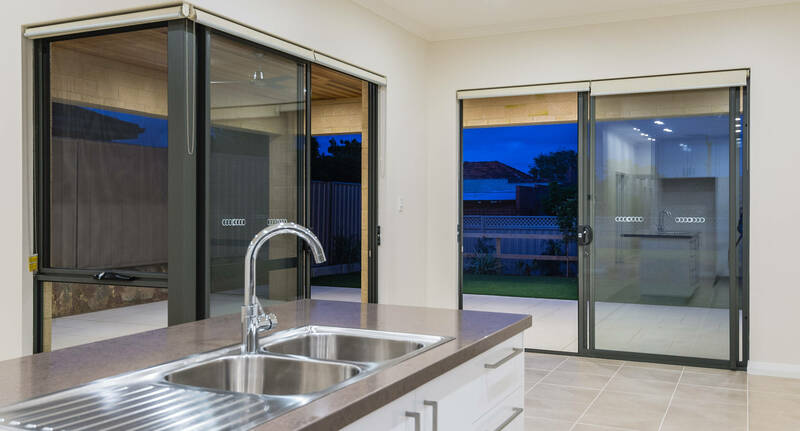 If you’re looking for sliding doors or stacking doors for your Perth home or business, look no further than the door experts at Alternative Doors. We manufacture all our doors using custom designs to suit your exact needs, and we only work with the best quality tools and materials. What’s the Difference between Sliding and Stacking Doors? If you’re unsure of the difference between sliding doors and stacking doors, here’s a quick guide. A standard sliding aluminium door consists of just two door panels, one of which is fixed and one of which can slide open or closed. Stacking aluminium doors, on the other hand, feature multiple doors that can be opened and shut in many combinations and ‘stack’ behind one another. An example might be a doorway with six sliding panels – two fixed panels at each end and four sliding panels in between. There are many advantages to stacking aluminium doors. For one thing, they give you a lot of flexibility with controlling temperature and breeze because you can open the individual sliders in whatever combination you like. These doors also allow for much larger doorways, enabling you to let in natural light or – by opening all the doors – partly erase the boundary between inside and outside. Don’t worry about insects either – we can also fit advanced S1E retractable flyscreens from Centor to your doors. Alternative Doors has a manufacturing capability that is hard to match. We can even fabricate these doors over and above the standard door height for your Perth home or business, without having to compromise on performance. Our team of certified builders and installation professionals have over 90 years’ experience between them. We are your experienced and trustworthy door supplier in Perth – give us a call or enquire online to get your project underway today.